This book takes you into the guts of a fractured family in the aftermath of a death. Old enmities, old pains flow in the novel’s veins. Told from the perspective of four characters, the narrative weaves around the family’s tense life. It never feels overloaded, and resolution is always just out of reach, implied creatively in Gavin Broom’s direct, often surreal narrative. The story swings wonderfully across continents, time and realities. Dialect and language are well-handled, giving the characters authenticity. It’s a funny book too, despite the underlying miseries in the characters’ lives. That mix is managed well, the humour as punchy as the rest of the drama. Mythological references are there (implied clearly in the title), but again, these are never overplayed. The Scottish Book of the Dead succeeds in drawing disparate, pained lives together into a very enjoyable read. I’ve gone back to writing short stories this year and put a couple forward for prizes. I was fortunate enough to be shortlisted for both the Cambridge Prize and the Bridport Prize. For the former, the publisher TSS will include the story in their first anthology, due out in early 2019. One of the things that really helped me was getting a hold of Fires by Raymond Carver. I’d read a few of his pieces over the years, but this collection of is writings, often about writing itself, is really focused. I’d recommend it to anyone wanting to do more, to get better. Big thanks to Donal McLaughlin, the Derry-born writer and translator who gave me the book as a gift. You should look Donal McLaughlin up. His short story collections, An Allergic Reaction to National Anthems and Beheading the Virgin Mary, contain most excellent examples of the short story form. His translations from German have made him an award-winning writer in two languages: German and Derry English. The first novel from Charlie Gracie, To Live With What You Are, will be published later this year by Postbox Press: their first Scottish novel. It’s been a fair ould gestation, and I’m very pleased that Sheila Wakefield, owner of leading poetry publisher Red Squirrel Press saw both the poetic and prose value in the story. Maura Weightman, one of the leading public artists of our time, and her husband James, are masters of malice, creative and callous: but what is it that makes them tick? You’ll have to wait till November 2018 for the book’s launch. Before that, on a calmer note, I’m teaming up with the wonderfully creative and centred Teresa Johnston of Sunrise Holistic. We’re running a short series of workshops at West Moss-side entitled Our Inner Emotions & The Written Word. Teresa will lead participants in meditation and I will support people in creative writing. The first will be on 24th March and it will be a very special day. I’m building on my sequences of Irish poems too this year. Tales from the Dartry Mountains is based around my maternal grandparents’ home in the west of Ireland. Several poems were published in 2016 and 2017 in places such as Gutter and Southlight magazines, as well as Jackdaws being recorded by the excellent Pefkin (AKA Gayle Brogan) on her Murmurations album from Netherlands based Morc Records. Tales from the Shore Road is a Belfast sequence, based around my paternal grandfather’s life there and after he came to Baillieston. These are coming together to be a bigger project than I’d first imagined: one that takes the whole diverse histories and ecologies and up to wee Charlie in Baillieston. Me and the ould yins, that’s it. Oh, and back to the fiction: after the first novel, number two is finished. I’m looking for a agent for this one, so it is out and running about in the Rejectosphere. Secrets. Maps. Kicking up the leaves. More good news to follow I hope. 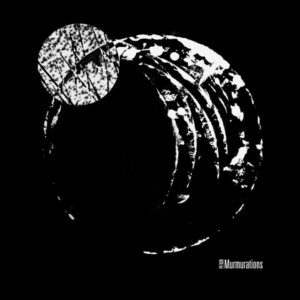 Murmurations is Pefkin’s new vinyl album on the Belgian-based Morc Records. Excellent, stuff, with long, ranging pieces that take you one minute to dreaming, the next to intensity. Pefkin is Gayle Brogan’s solo musical persona. Among the pieces on the album is Jackdaws, based on a poem of mine. Gayle picked up on it when she played one of the HillGigs house concerts in Thornhill in 2016 as part of the brilliant duo Electroscope (with John Cavanagh). I was at the recent concert in Glasgow’s Glad Cafe to hear the last gig on Pefkin’s tour with Bell Lungs and Chris Cundy. As well as Murmurations, Gayle has many CD’s that can be found on Pefkin’s Bandcamp site. You should also check out Morc Records for more of Gayle and other amazing electronic and experimental musicians. Here’s what WIM from MorC Records say about Pefkin. “Gayle Brogan has been a key figure in the experimental music scene since the mid nineties. She first gained recognition as one half of the remarkable duo Electroscope, mixing psychedelic pop, lofi, drones and folk. And as the woman behind Boa Melody Bar, she became a well known distributor of underground music as well, and so got exposed to more great music than most of us will ever be. When Electroscope went on hiatus in 2000, Gayle picked up the name Pefkin, and continued on the same path, though the music shifted a bit more towards freeform folk and longer dronepieces. This resulted in a string of well-received releases on prestigious labels like Pseudoarcana, Foxglove, Ruralfaune, and in 2014 in a first LP on morc (now sold out). Scotia Extremis has been an excellent project run by Brian Johnstone and Andy Jackson. I’m delighted that my poem Ye dancing? features this week. 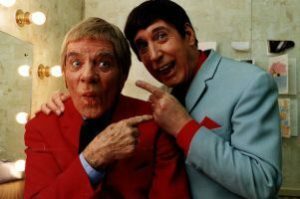 The theme: Francie & Josie and The Proclaimers. What divergence, but also such resonance with both pairs laid deep in Scottish hearts. The Proclaimers poem is Men, a belter of a piece by Theresa Muñoz. Why not sign up to Scotia Extremis and get the chance to read poetry from all over Scotland, illustrating the depth and breadth of our country and our poets? Yet again Scotia Extremis hits the mark with work by Scottish poets about Scottish singers. 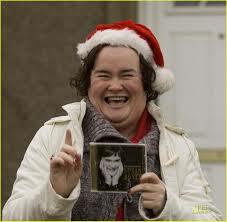 Susan Magdalene is an aching poem by Valerie Thornton about Susan Boyle and wider issues of bullying. Real tenderness with a big bloody dash of anger: I wish that I could sing / like you, into the heart / of every wounded child. Similarly, Janet Paisley delves beautifully into the essence of Emeli Sandé in Voice: There are rhythms in rain, of storms, / grace in green notes, a flowering. Both these poems continue the journey of Scotia Extremis across the great divides of Scotland. They move towards a deeper understanding of all of us with our differences and our intricacies. Excellent stuff. More to come. I didn’t win, but my wee poem Jackdaws was shortlisted for the Bridport Poetry Competition 2016. I am also pleased to say that Gayle Brogan, as Pefkin, will use the poem as the basis for a piece on her new album, due out in 2017. 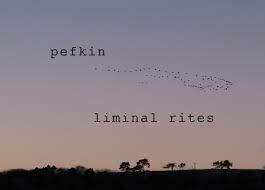 Check Pefkin out for really beautiful music, such as in the 2015 album Liminal Rites. Good poems take on a life of their own. 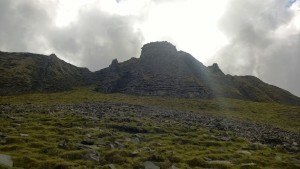 Jackdaws is part of a broader, developing piece of work called Tales From The Dartry Mountains. In this I am exploring the people, culture, politics and geography of the area in the west of Ireland that my mother came from. The Bridport Poetry Competition was won by Edinburgh-based poet Mark Pajak with Spitting Distance, described by the judge, Patience Agbabi, as having an ‘understated authority of voice’. Well done! To Live With What You Are will become the first Charlie Gracie novel to be published, following up on my poetry collection Good Morning. The publisher is Northumberland based Postbox Press, run by Sheila Wakefield, an imprint of Red Squirrel Press. Sheila is renowned as a publisher of poetry and has a growing list of fiction. To Live With What You Are will be the first novel by a Scottish author from Postbox. I had the pleasure of going down to Newcastle last week for the launch of Postbox’s latest publication, Ren and the Bluehands by the wonderful Ellen Phethean. 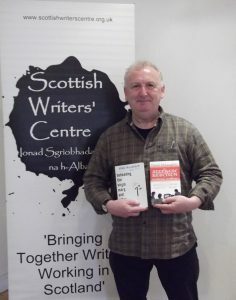 Two sections of the novel appeared (a long time ago now) as short stories in consecutive editions of the annual New Writing Scotland anthology from Glasgow University’s Association of Scottish Literary Studies. Publication will be in 2018. It seems like a long way away from here, but there is a good deal of work to be done, as well as other Postbox Press books in line. I’ll keep you up to date with progress. I was very pleased to have Good Morning reviewed by one of Scotland’s best writers, Des Dillon. Charlie Gracie’s collection Good Morning is saturated with poems about landscape. Mostly wet rainy, moss-laden Scottish landscapes and so evocative are they that they reminded me of Graham Swift’s Waterland which is set in the Fens. But these poems do for Scottish wetlands what Waterland did for the Fens. I doubt Good Morning will make the money that novel did but it conjures up the smell, feel and chill of the landscape just as well. There are other poems not set in landscape but even those don’t escape Gracie’s obsession with water, squelch and rain and so the reader leaves the collection with the sensation of having been on a deeply melancholy but somehow redemptive journey. If you haven’t read Des’s work, I’d recommend you do.